Your face is one of the first areas of your body that begins to age. 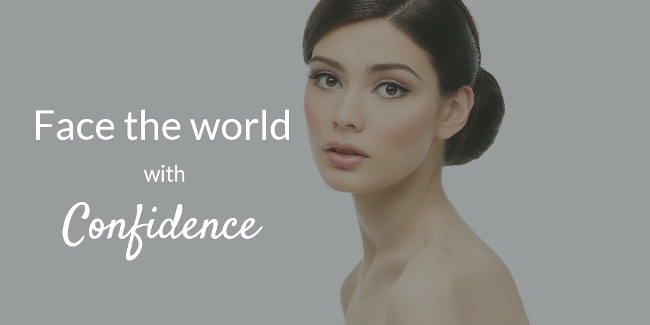 From sun exposure to wrinkles and lines, women and men struggle with losing their youthful appearance. A facelift can combat the aging process and rejuvenate your looks. Our plastic surgeon, Dr. Young, is an artist who takes your entire facial structure and appearance into consideration when developing a cosmetic surgery plan to achieve your desired results. If you’re interested in a facelift, please contact Advanced Cosmetic Surgery in Overland Park today at 913-341-2188 to see if cosmetic surgery is the right choice for you. Dr. Young serves patients in Kansas City, Overland Park and Leawood, Kansas. What Problems Can a Facelift Address? A facelift is a cosmetic surgery procedure designed to address signs of natural aging such as loss of volume in the cheeks, loose skin, and excess fat in the chin area. This procedure has been used for decades and is still one of the most popular plastic surgeries in the country. Men and women often worry about looking “frozen” as the traditional method can involve excessive tightening of the skin. However, our plastic surgeon uses his expertise and artistic abilities to conceptualize your facelift and address your specific concerns. Dr. Young utilizes one or more face surgeries in addition to the facelift to accomplish a refreshed, youthful appearance. A facelift won’t stop the aging process but offers a natural-looking result that improves your look without appearing overdone. Our plastic surgeon has his own technique when it comes to the facelift and other cosmetic surgeries. He excises loose skin in every facelift while also tightening the SMAS (Superficial Muscular Aponeurotic System), which involves the underlying muscles in your face. Some plastic surgeons perform SMAS tightening as a secondary procedure, but Dr. Young includes it in every facelift. One of the major goals of facelift surgery is wrinkle reduction. Injectables such as BOTOX or Juvederm provide temporary relief from lines and wrinkles, but Dr. Young typically recommends facial cosmetic surgery for longer-lasting results. As you get older, the buccal fat pads located in your cheeks lose volume and atrophy, giving you a hollow appearance. Long-term habits such as smoking or excessive sun exposure combined with gravity and stress cause lines and wrinkles around your eyes, nose, and mouth, and vertical lines develop between your brows. A facelift or other facial surgeries can address those problems and more including a double chin and sagging skin tissue in the jowls and neck. Your skin is also continuously changing and is an important factor to consider when we’re determining how to improve your face. Dr. Young typically recommends patients come back 6-8 weeks post-facelift for a full chemical peel to address the superficial fine lines and wrinkles and imperfections that can’t be corrected with a facelift. Dr. Young breaks the face down into three sections and uses this guide to develop a surgical plan. This begins with discussing what you dislike the most when you look in the mirror, so he can narrow down whether a full facelift, mini-facelift, or another face surgery will give you the best outcome. Upper Face: Your brows up to your hairline. You may have deep forehead lines or vertical lines between your eyebrows, which can be treated with a brow lift. Mid Face: Your eyelids down to the bottom of your nose is your mid-face region. Sagging eyelids or excessive under eye bags are a common concern we hear from our patients. Hollowing cheeks naturally occur with age but can develop after you’ve had children too. You may also struggle with a bony projection of your cheeks. These issues can be treated with a facelift or specific procedures to address the eyes. Lower Face: From your nose to your neck is your lower face section. “Double chin” and “turkey neck” are common problems in this area. A facelift can get rid of the fat deposits and excess skin causing these issues and tightens the skin to give your neck and jowl area a young, taut appearance. Dr. Young will go through each portion of your face to pinpoint the aesthetic problems that bother you the most. Your initial consultation is a thorough conversation about your options and potential results. He may suggest fat grafting to restore volume back to your cheeks and addressing the jowls and neck area with a facelift in addition to other facial surgeries. A facelift serves a specific purpose: The goal is to reduce skin sagging and improve the visible symptoms of aging in your face and neck. However, a facelift may not be the right procedure to give you the outcome you’re looking for. Brow Lift: Also referred to as a forehead lift, the brow lift is designed to reduce the horizontal lines that develop over time across your forehead. The vertical lines between your brows, or “Frown Lines,” are smoothened with a brow lift as well. Upper and Lower Blepharoplasty: Eyelid surgery is performed for both cosmetic and medical reasons. Your upper eyelids may droop or sag affecting your ability to see clearly, and an upper blepharoplasty corrects this by removing excess skin. Bags under your eyes or puffiness is another mid-face issue. A lower blepharoplasty reduces the puffiness and sagging to give you a renewed, well-rested appearance. Fat Grafting: Fat transfer can be used with a facelift and is often utilized during breast augmentation, too. Fat cells are harvested from another area of your body with unwanted fat, processed, and injected into your cheeks to restore the volume lost due to age or pregnancy. Mini Facelift: Many of our patients come to see Dr. Young thinking a mini facelift will give them the results they’re looking for, but a mini lift is best for specific patients. Someone who doesn’t have as much skin excess through the neck and jowls and minimal skin looseness is an ideal candidate for a mini facelift. You’re healthy overall, without medical conditions that impact your healing abilities following surgery. You’re a nonsmoker or willing to quit before the procedure(s). You have realistic expectations for what a facelift or other face plastic surgery can accomplish. You have the time available to recover completely. You’re prepared for the recovery process and willing to follow all post-operative instructions. To find out if you are a candidate for facelift surgery, please schedule your initial consultation with Dr. Levi Young for an in-depth, one-on-one review of your goals. 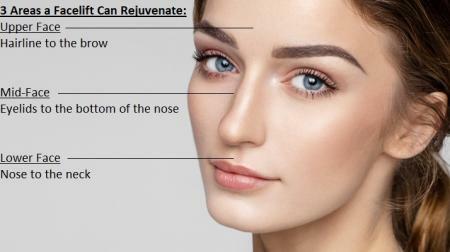 Facelift recovery is the most common concern. You’ll have a bandage around your face to help with swelling and bruising. You may have small drains to help the healing process as well. The facelift is an invasive plastic surgery, and you will need to take time away from work (typically 1-2 weeks). Over-the-counter pain medications can help reduce discomfort, and Dr. Young may prescribe additional medications or topical ointments to aid your recovery. You’ll return to our office in Overland Park for several follow-up appointments to make sure you’re healing correctly. Most men and women are worried about looking like they’ve had work done. The ideal outcome for any patient is a natural but improved appearance. Dr. Young’s artistic eye and attention to detail give him an edge over other board-certified plastic surgeons. His job is to provide beautiful, youthful results that don’t look overdone or as if the skin is drawn too tight. You can trust and rely on his expertise to give you a soft, supple look. Dr. Young is an ABPS board-certified plastic surgeon whose talent and experience has earned him recognition from media outlets such as Pitch Weekly, Her Life, and the Better KC morning show. He’s been voted one of the top plastic surgeons internationally and honored as the top doctor in Overland Park. If you struggle with signs of aging and are interested in a facelift or face plastic surgery, please contact Advanced Cosmetic Surgery in the Kansas City area today at 913-341-2188 to schedule your free consultation with Dr. Young. We serve clients in Overland Park, Kansas and surrounding areas of Kansas City.